Anyone who’s gone through the trouble of designing and properly furnishing a brand new home can tell you just how stressful and rewarding it can be. When it comes to design, it’s always best to get it right the first time, which means there’s often a lot of research and a bit of elbow grease to get the job done. Even if you aren’t the one who’s going to be personally installing what will be in your new home, having to make the choices alone can be stressful enough. One aspect that’s often a little overlooked when it comes to designing a quality home is the choice of flooring. After all, there are many other things that require your attention, wouldn’t it be enough to just choose a decent material and be done with it? While this is certainly possible, it definitely won’t be doing you any favours in the long run. What exactly is there to consider when it comes to flooring? 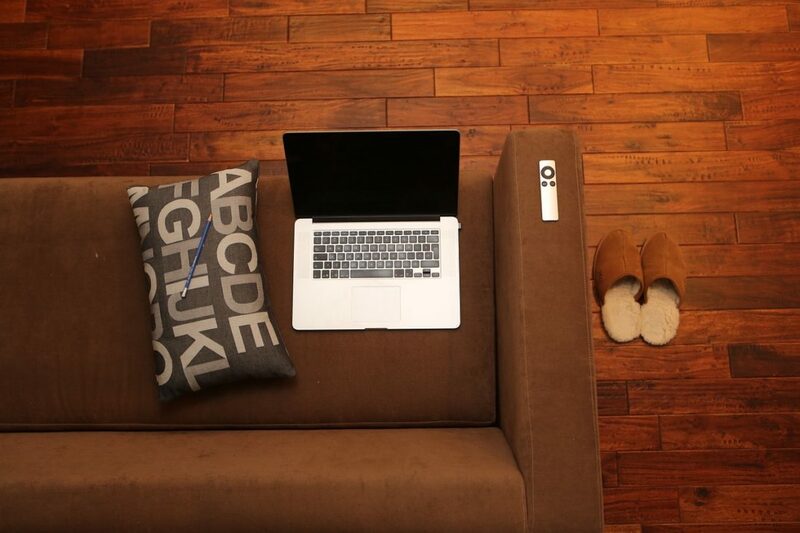 There are a few key things that you need to keep in mind when deciding on flooring. It should be obvious that the flooring is one of the aspects of your home that’s going to be seeing a lot of use. Consequently, if the right materials aren’t chosen then there’s a very big chance that the flooring will end up becoming worn out far earlier than it should. For example, is the flooring going to be used in an area that sees a lot of moisture (places like the basement, or the bathroom)? If so, consider going for materials like vinyl, ceramic or porcelain tiles. Is it possible to do it myself? Yes, but it isn’t recommended. There are too many instances where homeowners have bitten off more than they could chew and ended up ruining the flooring in an attempt to save money. In the end, they needed to spend more money on the flooring by hiring a professional only after they ended up making a mess of things. For those who have a good deal of experience and are purchasing easy-to-install flooring, then it might be feasible. Even then however, professional help should always be sought. Figuring out which areas of the home the flooring will cover will help determine what type of material you should use. From beautiful waterproof flooring to luxury durable flooring that creates an aesthetic impact, it’s important to know when and where these types of flooring can be used. Being aware of all the benefits that quality flooring has to offer means that not only will your house look and feel great under your feet, but the flooring will also last. In the long run, it’s definitely the cost-effective route to take.